As PCORI-funded studies produce results of interest to patients and those who care for them, we are updating the stories of those projects. Here is one such update. In an article published in February 2018 in Annals of Internal Medicine, a PCORI-funded team reports group sessions that provide cognitive behavioral therapy or pain education helped people dealing with chronic pain. The study provided these group sessions at clinics primarily serving people with low incomes in western Alabama. Previous studies had found therapy to be effective in treating pain, but these studies hadn’t tested therapy with people with low socioeconomic status. This study involved 290 people randomly assigned to receive usual care, education, or cognitive behavioral therapy for 10 weeks. Compared with people who received usual care, more people who received group sessions of either type reported lower pain intensity at the end of the sessions. People who attended education or therapy sessions also reported better physical function than people receiving usual care. Depression symptoms eased in people who attended group sessions, but they were not significantly different among the three groups. Most improvements held steady at a follow-up six months later. Chronic pain is a major health problem, particularly among economically disadvantaged people. Compared with the general population, they have not only a higher incidence of chronic pain but also less access to pain treatment. Preliminary results of a PCORI-funded project suggest that group sessions of both cognitive behavioral therapy (CBT) and education about pain can help disadvantaged people deal with chronic pain. Certain pain education interventions and CBT have previously been shown to reduce chronic pain’s intensity and impact. But these interventions have mainly been tested on literate, middle-class patients. A PCORI-funded team wanted to know whether economically disadvantaged people can benefit from the methods when tailored to reduce reading and writing demands, as well as complexity, and adapted to be culturally appropriate. If the revised methods are effective, healthcare providers may be able to offer evidence-based pain management approaches that don’t require advanced technology. The study divided its 300 participants—most of whom live below the poverty threshold and have poor reading ability—into three sets (medical treatment only; medical treatment plus group pain education; and medical treatment plus group CBT that includes pain education). The study’s principal investigator, Beverly E. Thorn, PhD, of the University of Alabama, had adapted standard CBT practices and patient materials, as well as the group education materials, for this population. The research team evaluated the participants immediately before and after 10 weeks of group treatments, and six months after those treatments ended. “The preliminary analyses of the resulting data indicate that immediately after the treatment period, patients who received pain education, with or without CBT, experienced less pain and fewer symptoms of depression, and functioned better than those with medical care only,” Thorn says. These are preliminary findings, Thorn emphasizes. Her team will now examine the data more closely to see whether certain factors have a significant influence on the results. They will consider, for example, the number of sessions a participant attended, group cohesion, and the participant’s relationship with the group leader. The researchers will also analyze the six-month results. Thorn also expects her data to provide insights beyond indicating which of the treatments works best on average. The team will assess whether existing depression, cognitive habits, educational attainment, or other patient factors make a difference in individuals’ experience of pain or response to therapy. Early on, when I visited one of the pain clinics where we conducted the study, the head physician said to me, 'Dr. Thorn, what are you doing to my patients? They're coming in, smiling at me, teaching me about chronic pain. This is magic!' That was so gratifying to hear. Thorn’s team has not yet published results in a scientific journal, but the research has attracted attention: a New York Times article about disparities in chronic pain treatment described the preliminary findings. The local medical community has taken note, too. "Early on, when I visited one of the pain clinics where we conducted the study, the head physician said to me, 'Dr. Thorn, what are you doing to my patients? They're coming in, smiling at me, teaching me about chronic pain. This is magic!’” Thorn says. “That was so gratifying to hear." The study itself had intriguing aspects. Less than 15 percent of patients in all three groups dropped out during treatment—a lower dropout rate than typically seen in behavioral treatment studies of people with chronic pain, Thorn says. In particular, the researchers were surprised that so many patients who received only standard medical care stuck with the study. Thorn hopes her results will help "get treatment into the hands of people who can use it." If findings are positive, Thorn plans to develop a free toolkit to train clinicians in low-income areas in pain education or CBT. 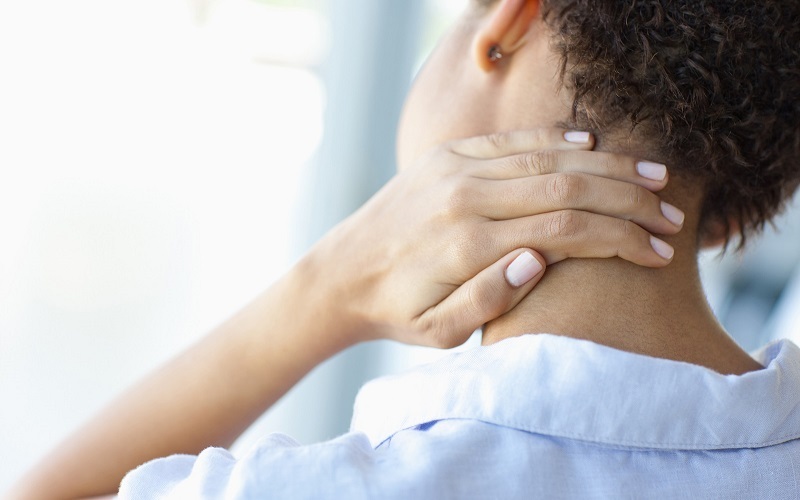 The study’s findings may also shed light on the nature of chronic pain—and effective treatment—particularly among economically disadvantaged people. Darrell Harris was in serious pain. His hand had hurt so badly for so long that he’d lost his job in maintenance, surgery hadn’t helped, and he hated taking so many pills, which didn’t do much anyway. Chronic pain—including conditions like Harris’s, as well as migraine headache, back pain, fibromyalgia, and neuralgia—afflicts more than one-third of Americans. For most, the only available treatments—medication, surgery, and physical therapy—offer partial relief at best. Results improve when treatment addresses the mind along with the body, says Beverly Thorn, PhD, a professor in the Department of Psychology at the University of Alabama, Tuscaloosa. “Your thoughts and emotions can change how much pain you perceive,” she explains. The first thing most patients say on hearing this news is: “How come no one told us this before? This makes so much sense,” Thorn says. However, techniques for teaching patients to deal with chronic pain were first designed for, and tested on, well-educated middle-class patients. Economically disadvantaged people—who suffer more than their share of chronic pain—are often less adept at reading, understanding, and using health-related information. Can the same treatments work for these patients? Thorn is leading a PCORI-funded study to find out. I had to learn to relax my mind, not focus on the pain. For me, the biggest point is not to depend on the narcotics. Just providing patients with relevant facts about chronic pain reduces its impact, according to previous studies. In a more active approach, cognitive behavioral therapy (CBT) aims to change how sufferers think about their pain and teach them strategies to deal with it. For example, they learn to see stress as a challenge rather than a threat and to replace negative thoughts (“This pain is the worst in the world. I can’t bear it.”) with more optimistic ones (“The pain is bad, but I have ways to cope with it.”). They also practice relaxation, distraction, and other techniques that will, in fact, help them cope. Considerable evidence has shown that such CBT can reduce pain, improve a patient’s ability to function, and cut medication use. But it requires learning and applying unfamiliar concepts. At that time, Thorn was conducting CBT groups for headache sufferers, some of them with low literacy levels. She asked for their thoughts on how to improve the treatment and patient materials. “They started by saying that we needed more pictures—and to cut the fancy words," she recalls. With the draft of a new version in hand, she conducted focus groups with some 40 patients in rural Alabama, inviting more detailed comments. The resulting patient handbook has fewer words and simpler language than the original. The lettering is larger and cleaner, and the illustrations more meaningful. The adapted therapy eliminates the written “homework” traditional in CBT; instead, there’s a “think, feel, act” exercise between sessions. During 10 weekly sessions, therapists use flip-charts to record patients’ observations and experiences, and they provide CDs that include session summaries and tips. In developing the new approach, Thorn learned and integrated what was most important to pain patients: to be listened to, have their pain taken seriously, and have nondrug treatments that worked. In a feasibility study funded by the National Institutes of Health, the adapted therapy showed promise. Then Thorn and her colleagues partnered with Whatley Health Services, a federally qualified health clinic serving counties around Tuscaloosa, for a pilot study. Harris received the adapted therapy in that study, which compared CBT to pain education in which patients attended classes to learn about the nature of chronic pain but received no training in how to cope. Both treatments reduced pain intensity and impact—gains that were maintained a year later. The CBT group also showed reductions in depression, which frequently accompanies chronic pain. The current study, larger and more rigorous, will enroll nearly 300 Whatley clinic attendees. They will randomly receive medical treatment alone, with pain education, or with CBT that includes pain education. “We want to know if both treatments work better than medical treatment as usual, and if CBT has a special advantage for those who are depressed,” says Thorn. If the effectiveness of pain education without CBT is confirmed for some patients, that would have provocative implications: “You give patients the information they need, in a way they can understand without highfalutin medical terminology in a group setting that is patient-friendly, collaborative, and very interactive, and many take it and run with it,” Thorn says. This simpler intervention would be more economical because it can be administered by less highly trained personnel than are required for CBT. The patient perspective has been integral throughout this endeavor, Thorn says. Two patient representatives were on the small advisory board that helped define target groups for the larger study, craft the questionnaire to assess patients, and fine-tune the adapted treatment. They provided input on the PCORI application that led to funding for the full study. The current advisory board includes Harris and another patient who was in the demonstration therapy group, and it will soon add two more who are participants in the ongoing study. Patient participants and community partners on the research board, Thorn says, are also beginning to serve an unanticipated public relations role: through interviews, presentations at professional meetings, and political advocacy, they are promoting better pain treatment for the underserved. When Harris has talked to other patients one-on-one about the treatment that helped him, he’s had a mixed response. Often, “they feel they have to have their pills. I tell them you have to give yourself a chance to buy into another way. Goal: To develop pain education and cognitive behavioral therapy programs for people with limited skills in understanding and applying health information, and test whether these approaches can reduce chronic pain more than medical treatment alone, and improve depression when present.